Recently, we saw a trio of standards come into effect – MFRS 15 Revenue from Contracts with Customers and MFRS 9 Financial Instruments on 1 January 2018, and MFRS 16 Leases on 1 January 2019. Companies have undoubtedly gone through a tremendous amount of work and change to implement those three standards – changes to the business and reporting models, processes and systems, pricing strategies, compensation, etc. The new MFRS 15 set out a new model of revenue accounting. The core principle is that an entity recognises revenue to reflect the transfer of goods or services in an amount that reflects the consideration the entity expects to be entitled in exchange for those goods or services. Parties to the contract have approved the contract. Each party's rights can be identified. Payment terms can be identified. It is probable that the entity will collect consideration it is entitled to in exchange for the goods and services. Contracts would have needed to be reviewed to ensure important information such as payment terms are included and that they are clearly worded to make the identification of the contract’s commercial substance and each parties’ rights easier. 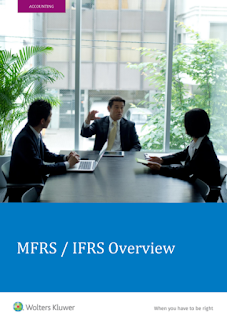 The new MFRS 9 replaced earlier versions of MFRS 9 and introduced a host of improvements which includes a classification and measurement model, a single forward-looking “expected loss” impairment model and a substantially-reformed approach to hedge accounting. MFRS 9 introduced an approach for classification of financial assets which is driven by cash flow characteristics and the business model in which an asset is held. The new model also results in a single impairment model being applied to all financial instruments, thereby removing a source of complexity associated with previous accounting requirements. During the global financial crisis of 2007/08, the delayed recognition of credit losses on loans (and other financial instruments) was identified as a weakness in the previous standard MFRS 139. MFRS 9 introduced a new, expected-loss impairment model that will require more timely recognition of expected credit losses. Entities are required to account for expected credit losses at all times from when financial instruments are first recognised and to update the amount of expected credit losses recognised at each reporting date to reflect changes in the credit risk of financial instruments. This model is forward-looking and it eliminates the threshold for the recognition of expected credit losses, so that it is no longer necessary for a trigger event to have occurred before credit losses are recognised. MFRS 9 introduced a substantially-reformed model for hedge accounting, i.e. one that is principle-based rather than a rule-based, with enhanced disclosures about risk management activity. The new model aligned the accounting treatment with risk management activities, enabling entities to better reflect these activities in their financial statements. In addition, as a result of these changes, users of the financial statements will be provided with better information about risk management and the effect of hedge accounting on the financial statements. Leasing is a method of financing that is widely used across all industries, mainly because it enables companies to use property, plant or equipment without incurring large cash outflows at the outset. Under MFRS 16 Leases, lessees no longer distinguish between a finance lease and an operating lease. Thus, for the majority of lease contracts the lessee recognises a lease liability reflecting future lease payments and a “right-of-use” asset. Lessees will recognise interest expense on the lease liability and a depreciation charge on the “right-of-use” asset. This will change the presentation in the income statement and the total expense recognised in each period. Straight-line depreciation of the right-of-use asset and application of the effective interest rate method to the lease liability will result in a higher total charge to profit or loss in the initial years, and decreasing expenses during the latter part of the lease term. The cash flow statement will also be impacted. For example, lease payments that were previously classified as operating leases will no longer be included within the operating cash flow section. Instead, lease payments will be separated to reflect the repayment of the principal portion of the lease liability — in financing activities — while the interest expense will be reported in either operating or financing activities. The balance sheet will look a whole lot bigger and heavier. Whereas, previously, recognising a lease as an operating lease meant they would stay off the balance sheet, now every lease goes onto the balance sheet. This means key reporting metrics could undergo a radical change, especially if the company has been favouring operating leases over finance leases all this while. A company’s financial leverage or gearing would probably increase by these new requirements, and this may affect their credit ratings, covenants in borrowings, etc. Review contracts to ensure terms such as renewable options or potential modification to lease contracts meet the standard's requirements. Reassess all its contracts with counterparties to determine whether the contracts contain an embedded lease component. Renegotiate their existing lease agreements if they have significant operating leases. Consider the tax consequence as the new lease accounting models might result in additional deferred tax assets and deferred tax liabilities. We can conclude that Standards are being rolled out and/or amended to ensure that it paints a more accurate picture of a business performance, to stakeholders within and outside the business. It is worth noting that businesses are becoming more digitalised and complex, hence the need for clear actionable financial information is greater than ever. There is little purpose in the heavy investment of time and money to accommodate the new standards if a key preparer is unable to articulate the relevant information to the stakeholders. Therefore, on top of ensuring that the systems and processes put in place are correct and able to provide the correct information and disclosures, it is also imperative for the key preparers/reviewers to fully understand and appreciate the changes that have been made to the Standards. Explain judgement derived from the principles in accordance with the Conceptual Framework.